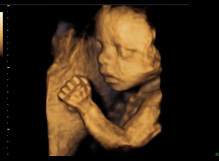 OB/GYN - Equipment Placement Services, Inc.
4D Diagnostic Ultrasound for today's demanding and progressive obstetrical and gynecology environment. Contact us for complete details, pricing and specs. NOW AVAILABLE 4D system with pre-owned transducers Contact us for additional details, pricing and specs. With HD LIVE Software Version: BT15 Includes pre-owned transducers. Model # 1584 2 chamber with power cord, keys. only 2 years old! with 2MHz and 3MHz ob probes.